Apparently most earthworm species are both male and female at the same time. That makes it even harder to decide which pronoun to use…I saved Mr. or Ms. 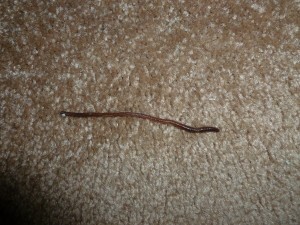 Worm and deposited him/her outside where I hope he/she went on to move a little earth once again. Wonder what the next rain will drag in? It’s sad to see earthworms washed up onto concrete walks after rains. They dry up so fast that they’re goners before they can be relocated. You are a good Samaritan to save that rug-bound creature. Glad it wasn’t a snake! I hate snakes. I have never had a snake in the house…I don’t hate snakes but I would get pretty freaked out if there were a snake in the house!!! 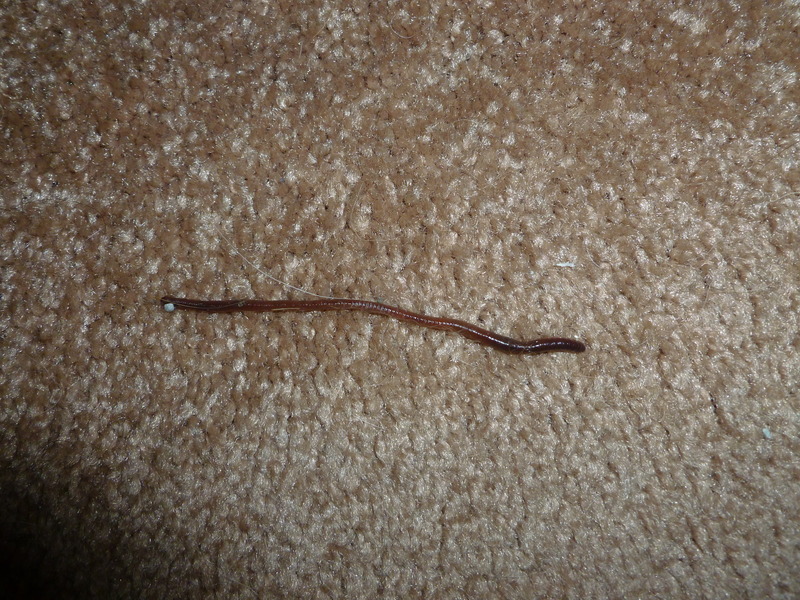 Worms inside the house are not something you see very often although I guess way back when they may have been more common since log cabins were closer to earth then homes built now days………………..
One time a foot-long lizard entered my apartment and was running around. I enticed it outside as quickly as I could.